Well, I’ve (mostly) caught up on all the sleep I lost during the film shoot I spent the last few weeks working on. I finally have a little free time now to post a burger review again, so here’s one that I cooked on the barbecue grill (first grilling of the year!) one afternoon while doing prep work for the shoot. I had these in my freezer, I think I bought them awhile back to do a review of and then forgot about them. 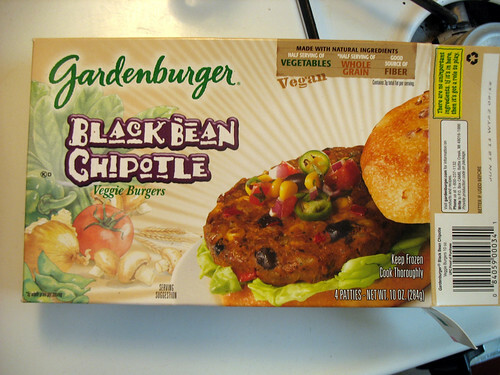 Gardenburger is not a brand I’ve bought before, but I figured you can’t go wrong with black bean burgers most of the time... and these ones are vegan, for all of my vegan readers out there! They dried up a little bit on the grill, but that’s unfortunately a common problem for most veggie burgers. I compensate for this by putting lots of juicy toppings on top – like fresh spinach, tomatoes, and grilled onions in this case. As well as a generous spread of chipotle mayo. And you might recognize the bun – these are my favorite, which I pick up at a local market whenever they have them. They’re sometimes a bit small for burgers, but they taste so good. Yum! Definitely a satisfying break in a long afternoon of work. I cooked one for Kelley, the art director on the shoot who was working with me that afternoon, and she enjoyed it too. 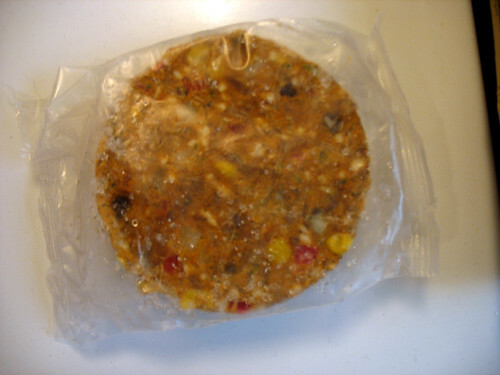 The patties are spicy, with a hearty texture of beans and corn mixed in with peppers and a few other veggies. 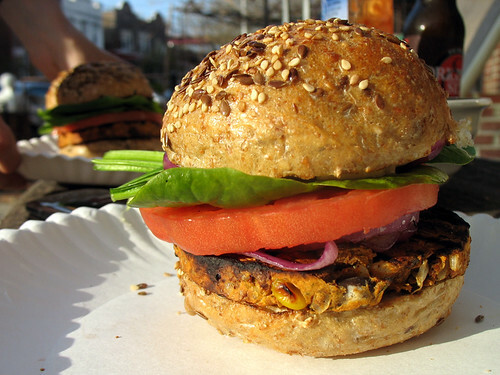 Black bean burgers always have a richness to them that burgers which try too hard to imitate meat tend to lack. 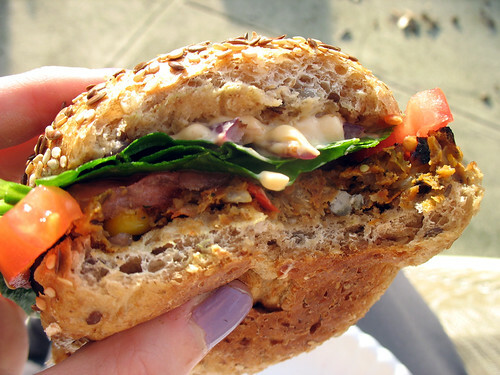 It was tasting a black bean burger for the first time that made me actually like veggie burgers in the first place (way back before I realized they could be even better – orgasmic, even – like some of the amazing ones I have since tasted! ), so they are still one of my top choices for store-bought burgers. And Gardenburger’s version is worthy of that place too. Ok, where DO you get those incredible looking buns? it's this little market/store that mostly sells fruits and veggies and natural foods, just a couple doors over from the main grocery store (Key Food) by the Ditmars stop in Astoria. I think they must get the buns from a bakery, because they have fresh ones every day, just sitting in a basket, not in any kind of packaging.